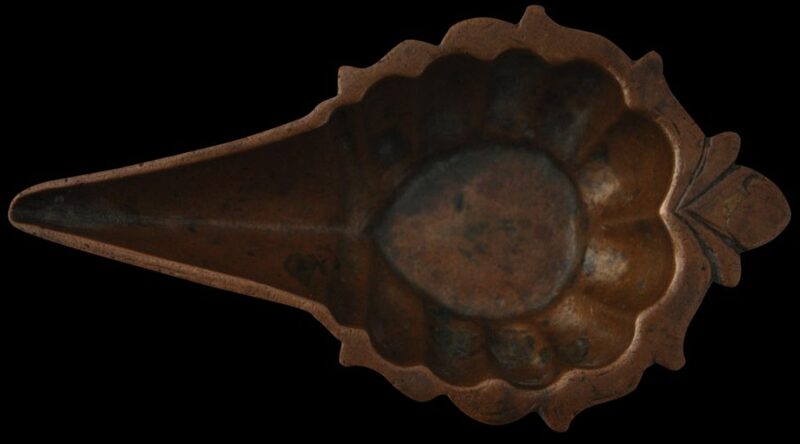 This small brass or solid copper vessel is modelled after a conch shell or a yoni and was used to drop holy water over the bronze deities of a Hindu household shrine in southern India, probably as part of the daily ritualised bathing routine often afforded to such images, or to pour water over one’s own body. 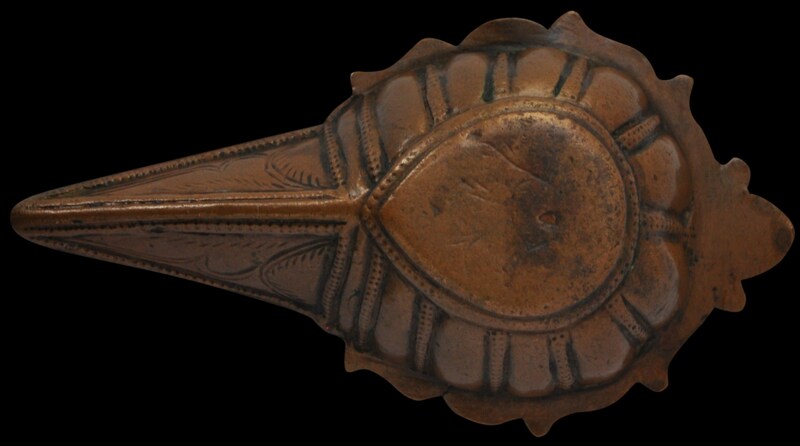 It is cast in a conch form embellished with lotus petal motifs and the exterior has been partly engraved with foliage motifs. The pourer has a superb rich chocolate patina and the contours have been softened and rounded from years of ritual (puja) use. This is an uncommon form with obvious age.